CLIENT: Chiesa Nazionale Argentina Santa María Addolorata, Roma (Italy). 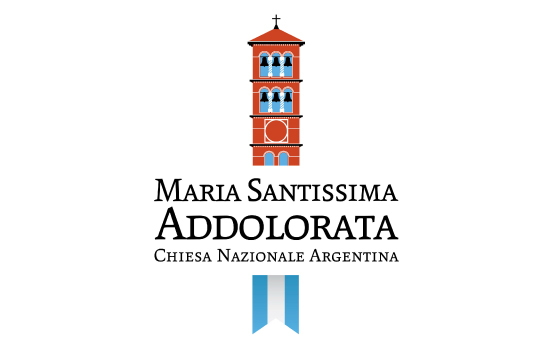 The INA is a church dependent on the Argentine Episcopal Conference, where the Argentine community meets in Rome. It also functions as a study house for priests. BRIEF: Generation of corporate visual identity. PROPOSAL: Creation of an isologotype.